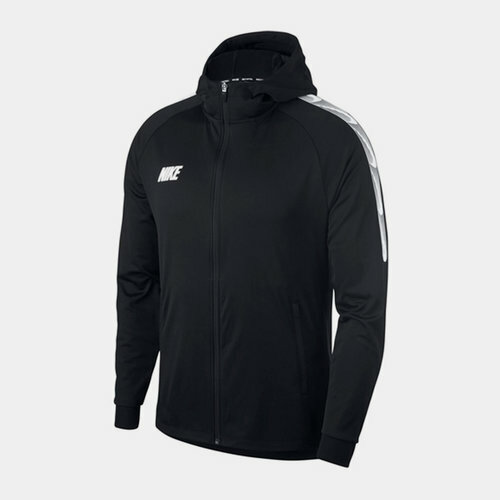 Stay warm when you're in training or out and about showing everyone you've got style in this Nike Mens Squad Track Jacket in Black and White. This Nike Squad Track Jacket is crafted with full zip fastening and long sleeves. It features a hood and has a 2 pocket design for storing valuables. This jacket is a lightweight construction with a printed logo and is complete with Nike Swoosh branding.